There are many different ways American government officials can address potential shortfall problems. Alice Rivlin, former Director of the Office of Management and Budget, testified to members of the U.S. House of Representatives Committee on the Budget. 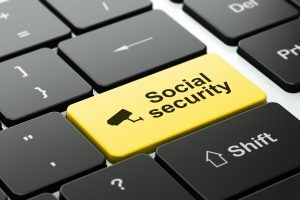 She said that the success of Social Security is vital to “reassure all Americans that this hugely successful program is solidly funded and will be there for the millions who depend on it when they need it.” Rivlin proposed reforms including revenue increases and future benefit reductions. The last substantial changes to Social Security occurred in 1983, under the Reagan administration, when the program faced a financial crisis. In 1983, Congress adopted recommendations of a bipartisan commission and passed into law a payroll tax increase, reduced spending, and a change in the eligibility age. Social Security benefits will continue to impact many Americans in the future. In order to ensure its success, politicians and economists will need to work together to find the best course of action. If you have any questions about Social security benefits and whether you may qualify for Social Security Disability benefits, please contact Lisa Siegel, Atlanta Disability Lawyer.